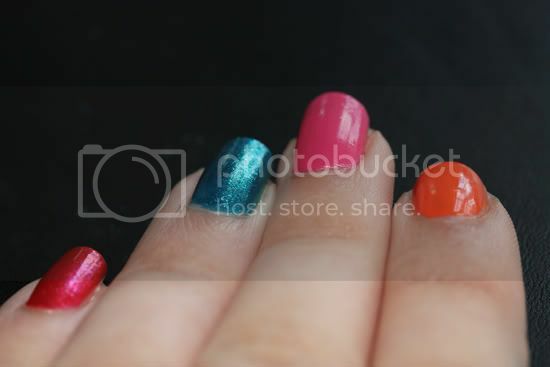 I saw, on one of the many many blogs I read, a beautiful nail polish colour. It's called 'Catch Me In Your Net' and it's by OPI. 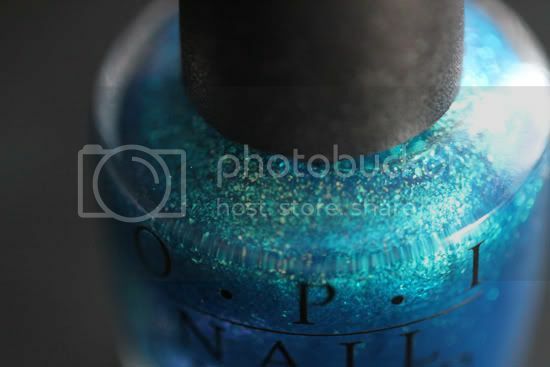 It was a beautiful glittery blue and I had to have it!! I went looking for it in ebay and found these instead. 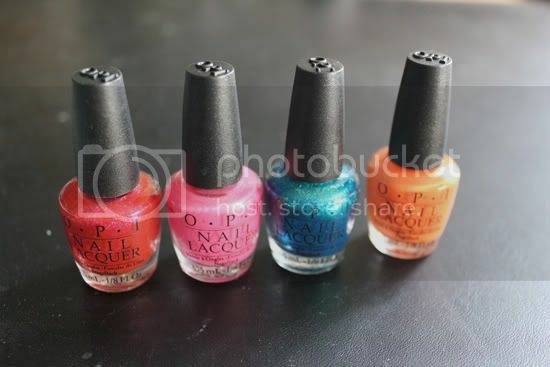 This is the OPI Summer Flutter Minis set. It contains all four of the Summer Flutter colours. From left to right they are 'Wing It', 'Flower-to-Flower' 'Catch Me In Your Net' and 'Flit A Bit'. 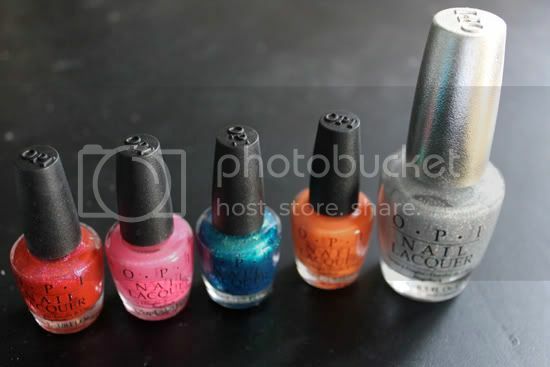 This shows their size in comparison to a normal sized OPI bottle. 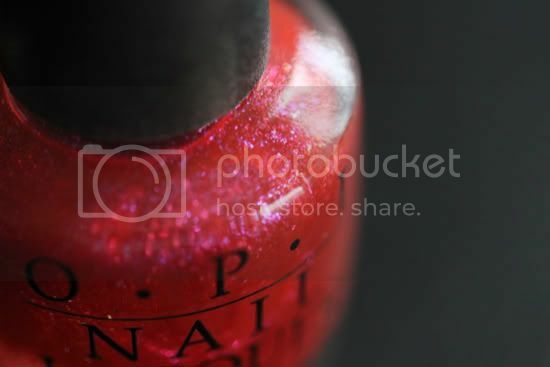 ('Coronation', my favourite nail polish I have ever owned.) They are so adorably tiny and cute!! I knew they were mini, but not quite that mini. But I don't think I've ever finished a bottle of nail polish, so I'm not too fussed about the size. I couldn't decide which colour to wear first, so I went for all four with OPI's 'Lucky Lucky Lavender'(to continue the floral theme) on my thumbs. The wear is really great, as per usual with OPI polishes. No chipping or flaking. I used a base and a top coat as well. 'Catch Me In Your Net' is the colour I bought the set for, and still my favourite. I really like the pink and the orange as well though. The pink has little sparkles in it which I really like. The orange is matte and kind of boring, but orange so automatically love it.